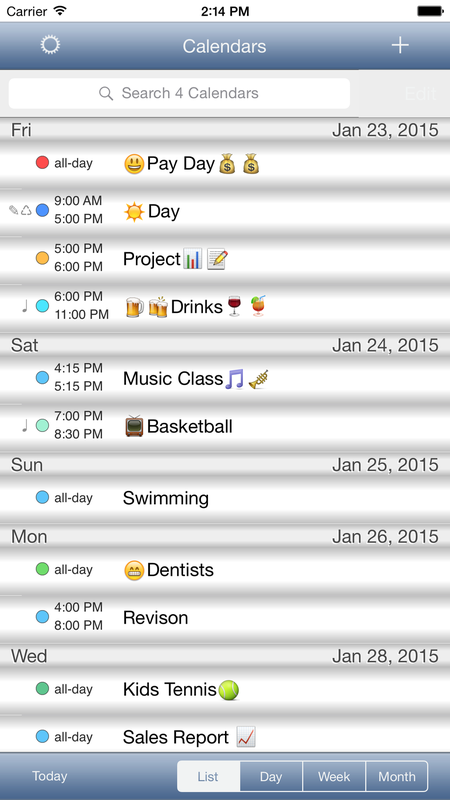 CalendarSkin is a vastly improved old style user interface for your iPhone's calendar. 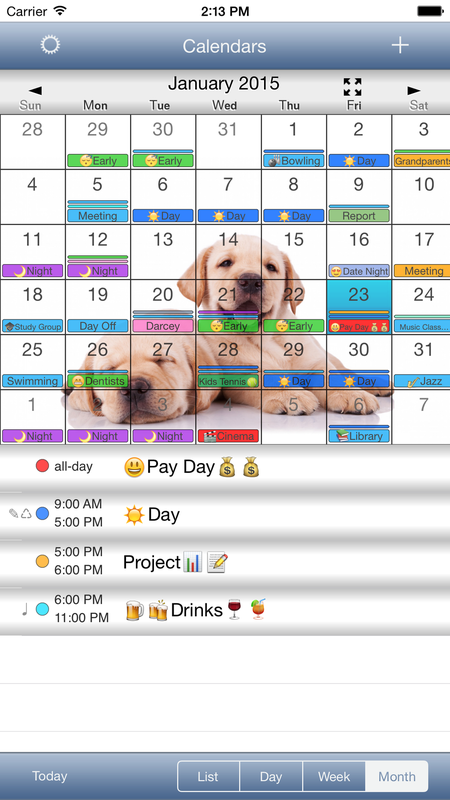 CalendarSkin OldStyle has a layout based around the old style built in Calendar app, but with many added features, improvements and customisation possibilities. CalendarSkin uses your device's native database to display your events in a fully customisable and much more user friendly way. This means your events sync automatically. Simply download the app and all your calendars will automatically be there ready for you. No further set up is required. 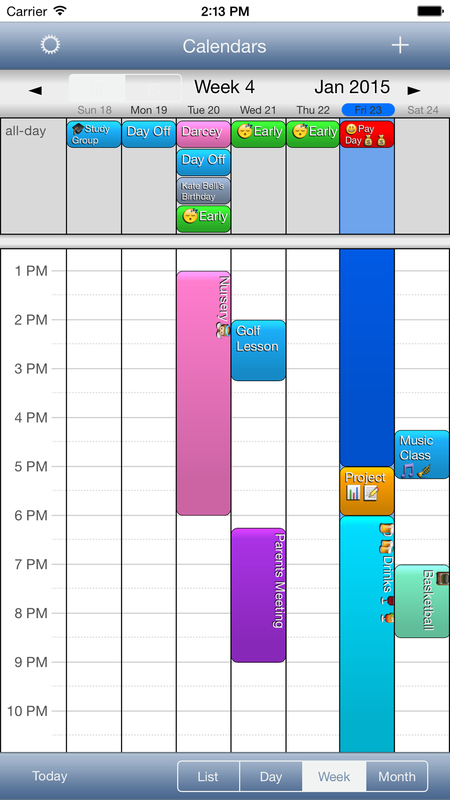 You will also be able to switch between the native Calendar app and CalendarSkin and your events will always be in sync. List, Day, Month, Week and Agenda views. 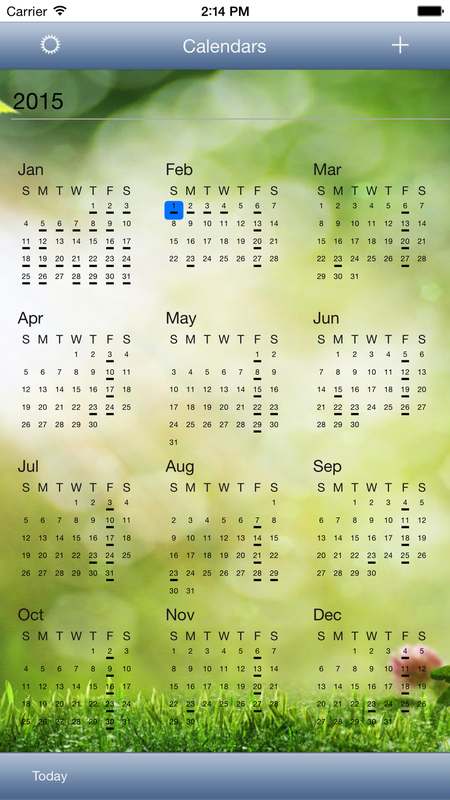 Optional Coloured bars for events (so no more black dots on your month view). Choose your font, colours and add pictures to personalise your display. Swipe motion quick delete and date select. This will quickly become one of your indispensable and most used apps. * List, Day, Month, Week and Agenda Views. * Pictures for calendar Month View. * Import your own pictures. 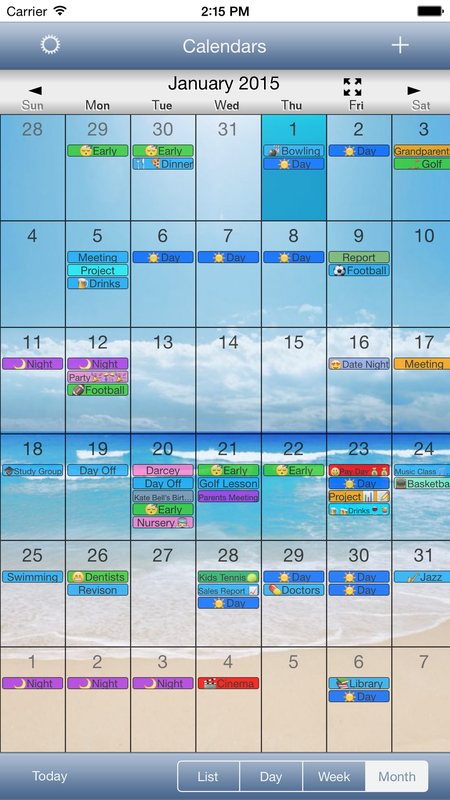 * Month View event colours and descriptions (no more black dot). * Quickly go to any date. * View all your calendars. * Swipe motion to change between days, weeks and months. * Customise display colour for individual events.